Tanzania is constructing a US$ 14m water project plant in Sumbawanga Municipality in Rukwa region. The water project in Tanzania is aimed at improving water sanitation services in the area. The Sumbawanga Urban Water Supply and Sanitation Authority (Suwasa) Planning Engineer, Mr. Maunda Mbenero, confirmed the reports during a meeting that was attended by Sumbawanga Urban Constituency Member of Parliament, Mr. Aeshi Hilary and municipal department heads. According to Eng Mbenero, the construction of the project officially took off on March 18, 2013 and it was initially expected to be completed on March 15, 2015 but it stalled. However, the construction works is 75 per cent complete. 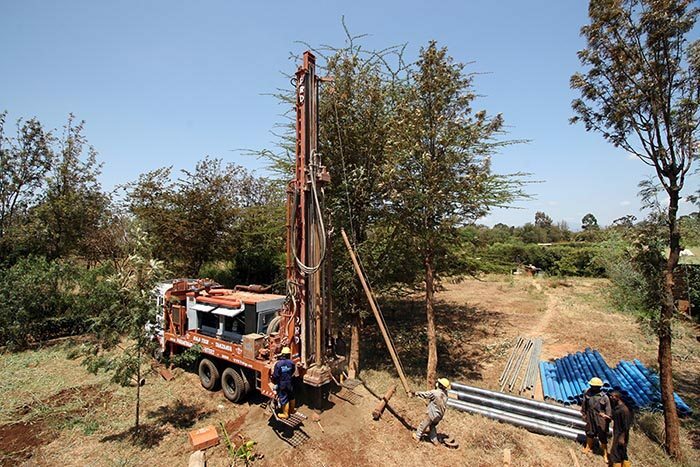 The development of the project has been divided into two sections that comprise of drilling of deep wells being undertaken by the Jandu Plumbers Company based in Arusha, construction of clean and safe water network infrastructure and finally the construction of two sanitation dams that is being carried out by Technofab Company from India. The construction of the mega water project is jointly funded by the European Union, the Tanzanian government and the German Development Bank KfW. Some of the funds will also be used on connecting pumps in 12 drilled deep wells, laying of water pipes in Sumbawanga Town covering 16 kilometres, improving water filtering plant located at Majengo Juu area where construction of 12 water kiosks and 38 water centres is ongoing and purchase of two garbage collector trucks. The government is anticipating the project to boost the production of water to 25 million cubic litres per day down from 7.5 million litres once completed. Technofab Company is an engineering and construction Company, serving the Power, Industrial and Infrastructure Sectors, by executing comprehensive balance of plant (BOP) and auxiliary systems on a complete Turnkey EPC basis.